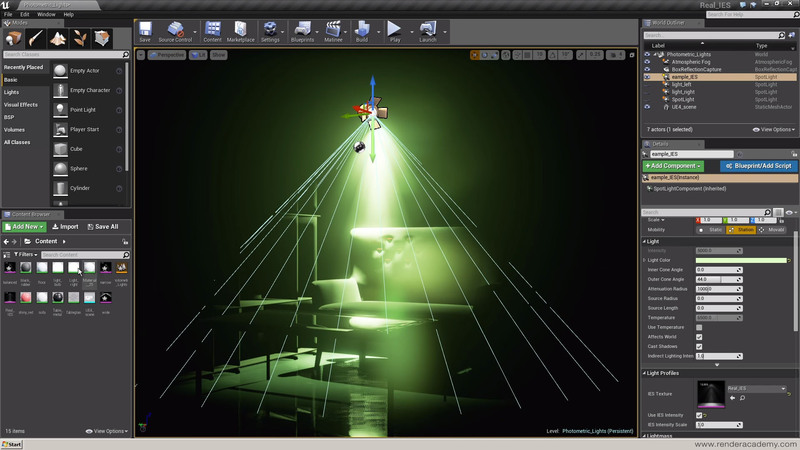 Light for realtime is a new focus in the development of Real IES. At PlaySys we are planning to add modules sections to the software in the same way as we did for Real HDR (PhotoBooth and SkyLight). Our intention is to add a new section to the software where users working on videogames can craft beautiful yet iper-optimised lights for the game engines. This way Real IES will increase its flexibility in the game development industry as well as the cinema, VFX, architecture and offline rendering in general. This new massive feature is far from being complete, but we are working on it and any suggestion/feedback/request is much appreciated.